The Chateau de Commequiers is located in La Douve, on the outskirts of town. Modern day Commequiers might come across as small and understated, but it was surprisingly quite important during the Middle Ages. The first traces of occupation go back to pre-history, as attested by the –still standing - menhir and dolmen located in the municipality. 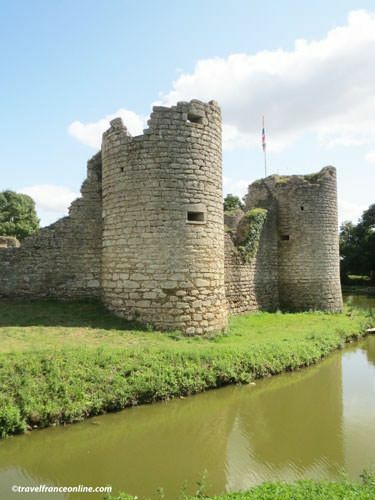 However, the village starred to expand two thousand years ago, when the Romans built a fortified camp on a small mound in present day La Douve. This ancient fort even left its name in the village, which was then know as 'Quid me Quaeris' - Why do you ask me? 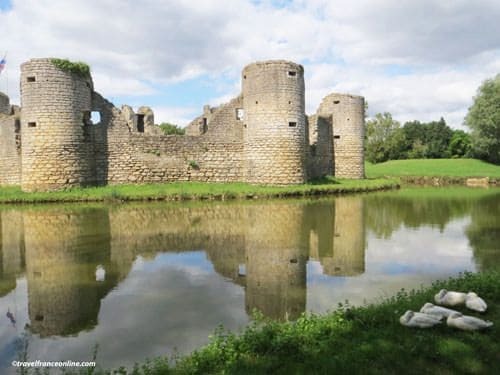 The Viscount of Thouars erected the first fortress in the 10th century in order to protect the inhabitants from the Norman invasions. His authority extended then to the whole of Northern Vendée. Commequiers was indeed the capital of a vast seigniory that commanded many fiefdoms. However, nothing is left of this fortress and its exact location has even been lost! Louis de Beaumont built the current fortress in the late 15th - early 16th century. Many families then owned the Chateau de Commequiers. The last owners were the Protestants lords of La Tremoille, during the Wars of Religion. In 1622 Louis XIII’s army encamped at Commequiers. The soldiers were indeed on their way to Notre-Dame-de-Riez and Saint-Gilles down the road, where they defeated the Protestants troops. The Catholic king then ordered the destruction of all the castles belonging to Protestants. The Chateau de Commequiers was therefore demolished in 1628. The countless breaches in the curtain wall sadly show the extent of the destruction. However, the eight massive round towers are still standing. Commequiers was built according to a model of the Bastille Fortress, on an hexagonal plan, a complex architecture then quite unique in France. The inhabitants of the castle! 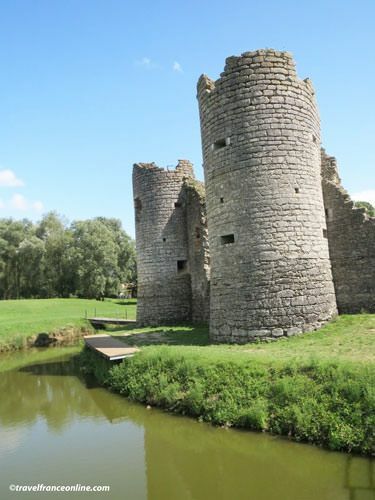 The three-storey ruined fortress has since been restored but not rebuilt. 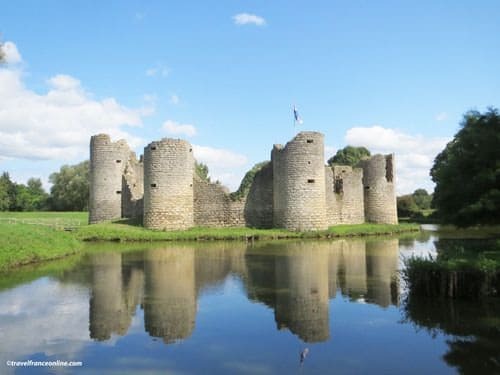 It still proudly stands on an islet and reflects its impressive silhouette in the water of its moat. However, nothing is left of the second enclosure. Encompassed within palisades, it contained a multitude of outbuildings and a garrison in charge of the castle's defense. Commequiers was fortunately listed Historical Monument in 1926. The municipality of Commequiers acquired the site in the 1960s and the Amis du Vieux chateau de Commequiers have since looked after it. Are you interested in contributing to a good cause and helping the association raise further funds to preserve and maintain this little corner of French Heritage?